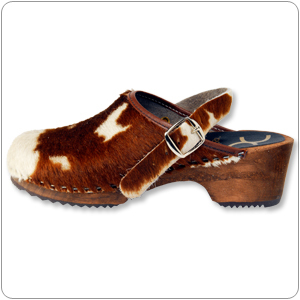 Grab your lasso and saddle up to these cute, furry clogs. Made of alder wood soles, including heel strap for support. Dress up your jeans this fall!